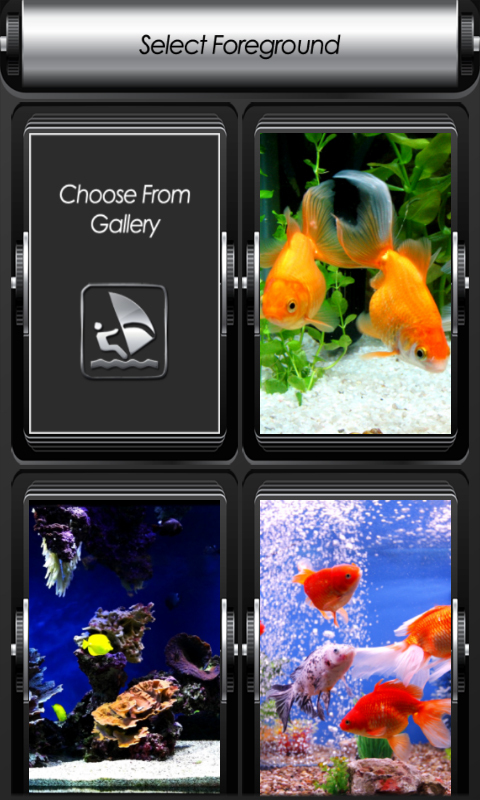 Tap your zipper screen locker and feel relaxed and at ease while gazing at the splendid fish swimming on your foreground and background. 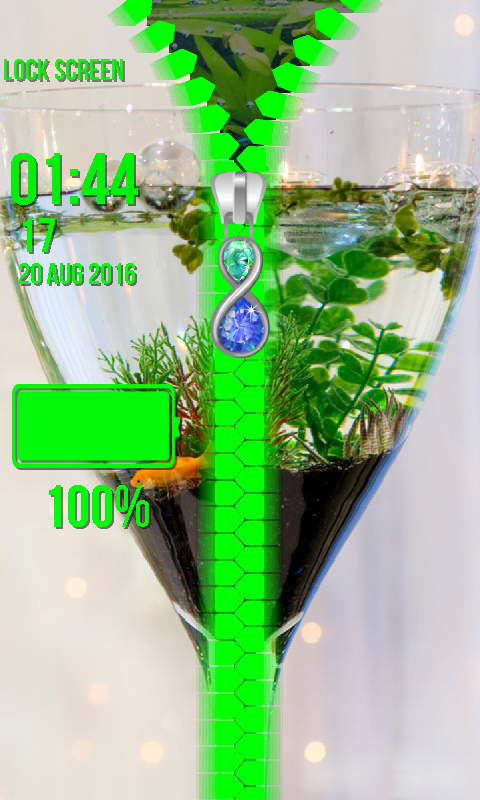 The newest Aquarium Zipper Lock Screen is bringing a gold fish onto your smartphone. Have you thought of three wishes for her? They will definitely come true. Personalize your device by writing down your name on the screen. You should put time and date there also, so you would access them easily. 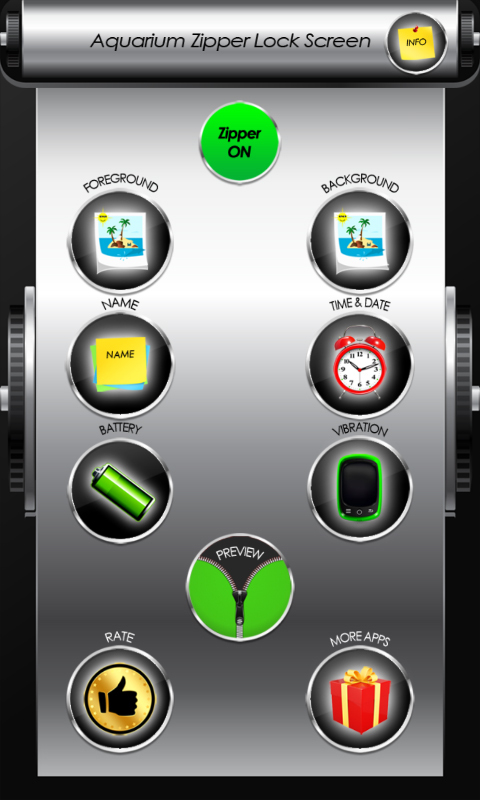 For all of these as well as for the reminder of your battery status, you can select the color and font you prefer. 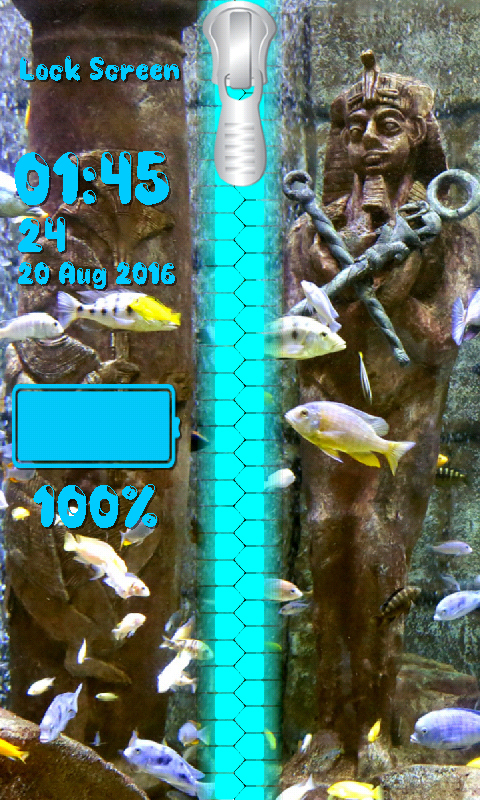 Get the impression of being on the bottom of the ocean, by downloading for free the latest Aquarium Zipper Lock Screen app. Swim around the coral reef and watch how seaweed moves in a certain rhythm. 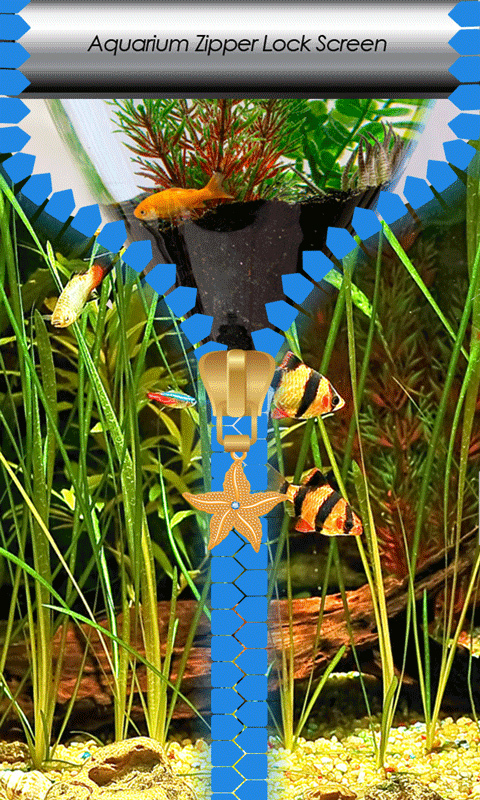 Do you enjoy observing different types of fishes? Are you frequently visiting those huge aquariums? 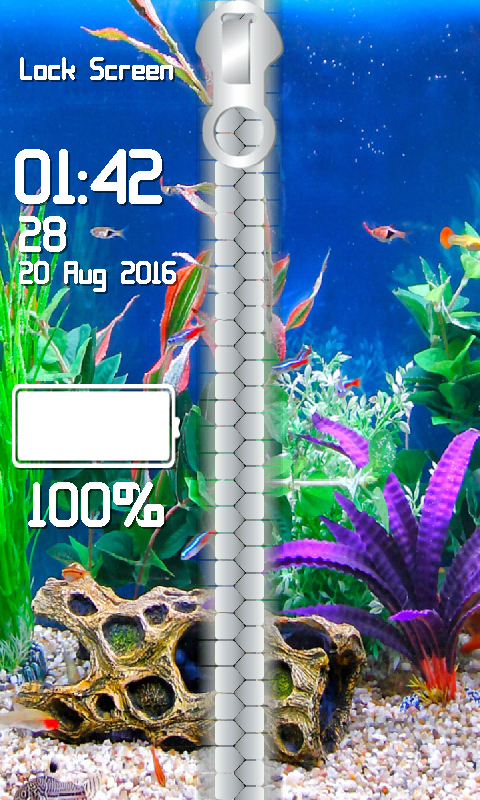 Well, with the top Aquarium Zipper Lock Screen you will be able to admire the wonderful photos of fascinating species on your device.